Amazing, the country, our CEO, our drivers were there for us and I never felt it was just a job to them. 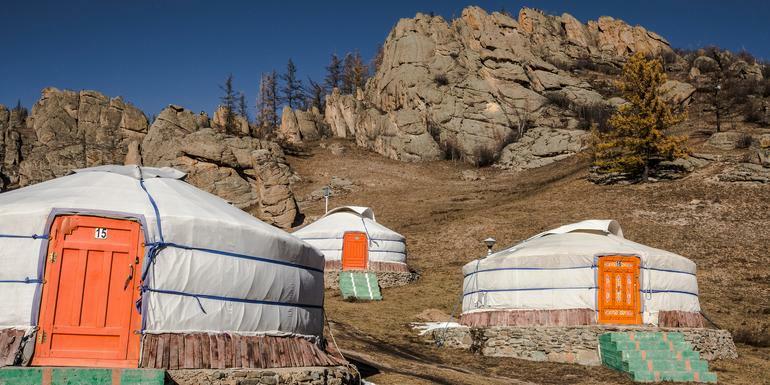 Good overview of Mongolia's capital, nomadic way of life, and various terrains. Well organized and carefully delivered! It was an excellent experience. We have already signed up for another Gadventures that we are looking forward to; and tried signing up for yet another one but, sadly it was already full. A suggestion: having the privilege of travel comes with responsibilities. I would be most happy to see an international programme that requires tourists to collect one bag of garbage every day of their tour. I believe there is a tour company that already suggests this and provides agreeable tourists with a biodegradable bag and gloves for the purpose. I would be happy to make this tiny daily contribution to the health of the planet. Wonderful experience with this tour! Guide and drivers were great. Would definitely recommend this tour to anyone! a very interesting trip, excellent arangements. 100 % talented guide. Spend a free day exploring this fascinating capital city. 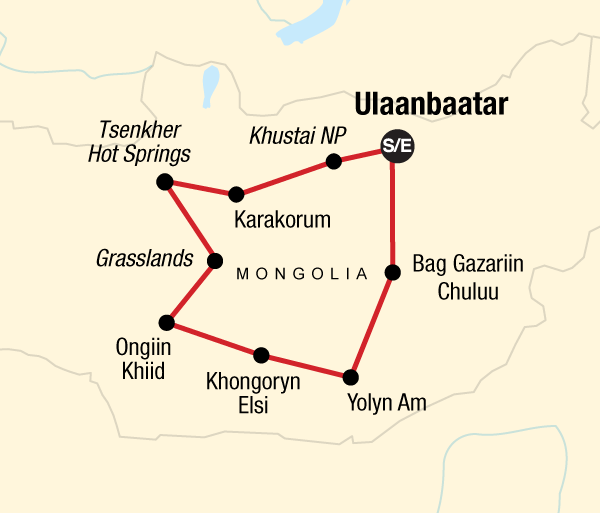 Enjoy the sights of UB and opt to visit to the Gandan Monastery, Bogd Khan Palace, and Zaisan Hill. Enjoy a relaxing time at the ger camp at Tsenkher Hot Springs. Visit the springs and soak in their healing powers. Opt to go horseback riding or hang out with the locals. Only ground transport Private van, 4x4 vehicle, walking.